If you love the look of fondant, but you aren't sure about its creation process, try this easy rolled fondant recipe. 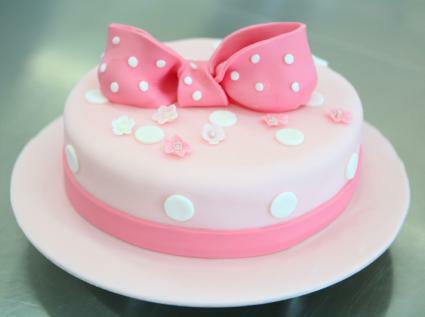 No boiling is required, and the resulting fondant can be rolled out for cakes, cookies or decoration in minutes. Combine the corn syrup and shortening in a bowl. Slowly add the confectioners sugar as you knead the mixture until very stiff. Continue kneading until it holds it shape well and is easily rolled. Fondant is frequently affected by the humidity in the air. If your dough is not becoming stiff, add in more confectioner's sugar until the dough reaches the desired consistency. Add just a small amount at a time. In place of the vanilla extract, try using peppermint extract, lemon extract or almond extract for different occasions and flavors. Once the fondant has reached the dough stage, add a few drops of food coloring to use as decoration. You can use different colors for different flavors if you are decorating multiple cakes, cookies or cupcakes. Store any unused fondant in an airtight container at room temperature or in the refrigerator. You can make the fondant days ahead of time for quick use. When you drape the fondant over a cake, try frosting the cake with a layer of buttercream frosting first. This helps the fondant adhere to the cake and will eliminate crumbs in the final appearance of the cake. Additionally, this will keep the cake from absorbing too much moisture from the fondant, which may cause the fondant to harden. Try this easy rolled fondant recipe the next time you set out to bake. The results will be a professional looking confection with the taste of buttercream. 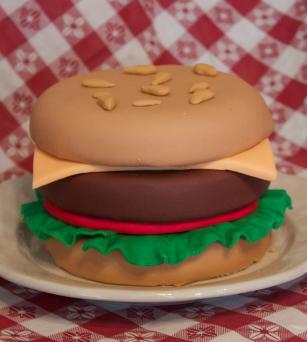 A little color, flavor and some imagination, and this fondant will conform to any cake decorating idea you envision.